Several months after it was released as a Beta, Skype 3.0 for Windows Mobile has now reached the final version. It's now available for download, coming with two important new features. The first one is the ability to send and receive files (of up to at least 50MB). The second new feature is the support for SMS: you can now send text messages anywhere in the world. 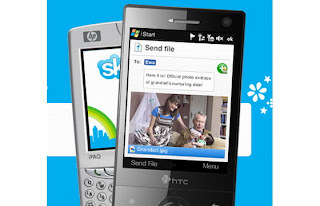 Supporting Windows Mobile Professional and Standard versions 5, 6 and 6.1, Skype 3.0 for Windows Mobile also offers free Skype-to-Skype calls and free instant messaging.